An old bus in Iraq has had a makeover – and it’s now fully converted as a school for children in Baghdad. The ‘Hope Bus’ has had all its seats removed and desks fitted to fit as many as 50 children. Most of the children are street kids who have never had access to education before. And because it’s on wheels, it can go anywhere – so more children in Baghdad and beyond will get to use it in the future. 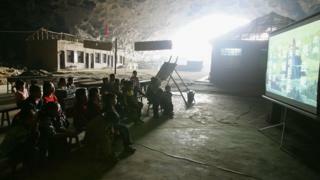 Resident students watch cartoons on a donated projector in the enormous cave that serves as home and school near a remote Miao in Guizhou province, China. The school, which has around 194 students in five classes, was built inside the natural cave in the 1980’s. Most of the students must walk for up to three hours on a stone path to get the school every morning. 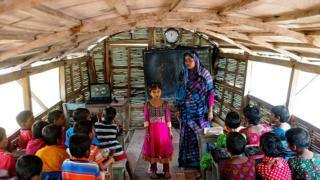 Solar-powered floating schools can moor-up at the mainland to pick-up students. 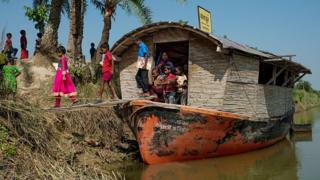 Each boat-classroom accommodates about 35 students and comes fitted with solar panels that power an internet-linked laptop, library and electronic resources, providing basic education for young Bangladeshi children. Metal beams allow for column-free spaces, and the boats have flexible wooden floors, high ceilings and waterproof roofs outfitted with solar panels. And the great thing about floating schools is that riverside communities can still go to school when the land floods in monsoon season. So no excuses for getting to school. It’s a classroom with a view, that’s for sure. We’re just not certain how much work will get done. 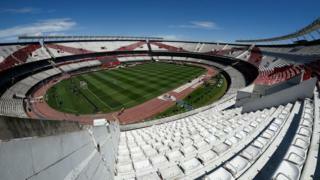 Welcome to the River Plate stadium in Buenos Aires, Argentina. The stadium is home to River Plate, but is also the venue for around 2000 school children. Sometimes classes finish early if football training begins. Pretty cool – if you love footy! 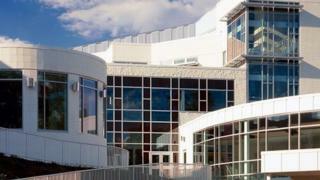 It’s a school embracing digital technology to the max, and that’s hardly surprising – being designed by Microsoft, this school in Philadelphia, USA uses computerised smart boards everywhere. And there’s not a workbook or notepad in sight, because all the students and teachers work entirely digitally.